I don’t think anyone would debate the military advantages of building a stronghold on the highest, least-accessible ground possible. 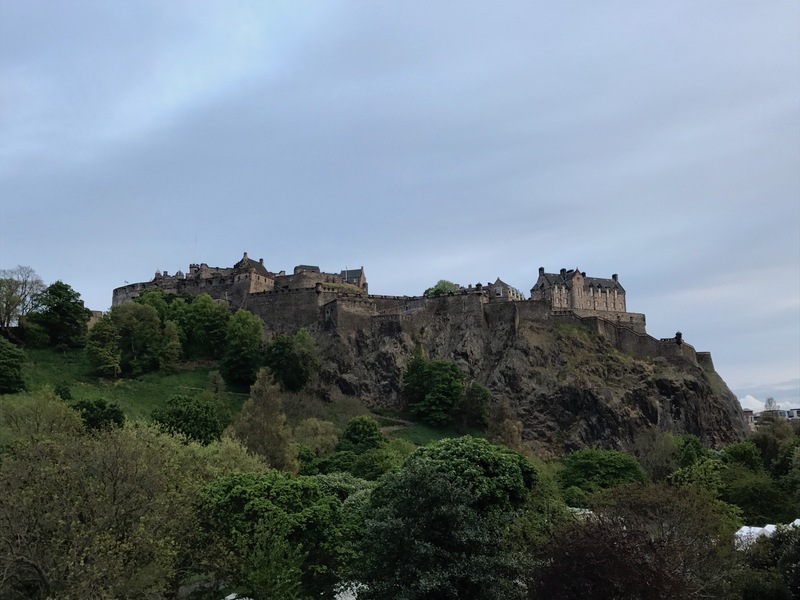 The rulers of Edinburgh, Scotland in the 12th century certainly understood the merits of establishing their castle and keep atop a massive, rocky cliff (called Castle Rock) which sits directly in the middle of the modern city. Sheer rock faces drop down a couple hundred feet on three sides of the citadel, and the only access point funnels traffic up a narrow road directly to the imposing curtain wall gate. When standing down below and gazing up at the towering structures far above, it’s easy to imagine the awe such a fortress would have inspired in both friend and foe alike. While there is evidence of settlement on the Rock from the 2nd century on, the first castle was established under King David I in the 12th century. Much of what is still standing today was built or rebuilt during and after the 16th century, but a few elements of the original stone architecture remain: tiny St. Margaret’s chapel (believed to be the oldest building in the whole city and dating from the 12th century) as well as parts of the Great Hall (probably built in the 16th century and then massively restored by the Victorians in the 19th/20th century in what was then believed to be the Gothic style – more on that story below) and the Royal Palace. The citadel was primarily used as a royal residence until the 16th century, but by the 17th century it had fully transitioned to a military base and housed garrisons and prisoners rather than the royal family. 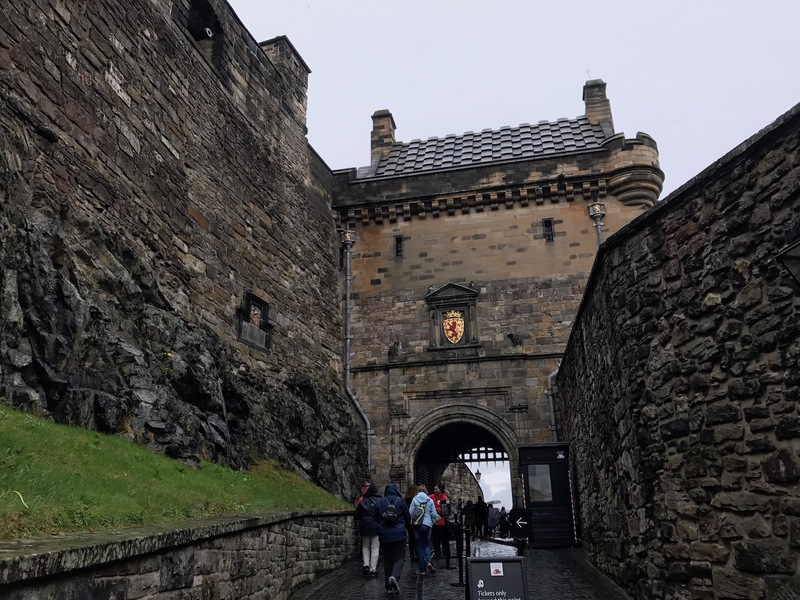 Edinburgh Castle saw many wars and is considered the most besieged stronghold in the country and one of the most attacked castles in the world. 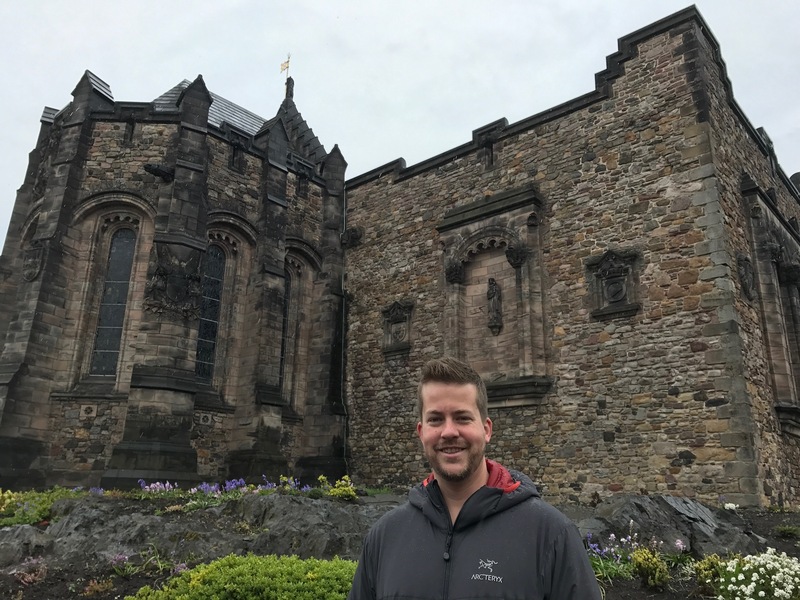 The story of the Great Hall, shared by our friendly and charming Scottish guide on the free tour, is perhaps one of my favorites from the Castle’s history. 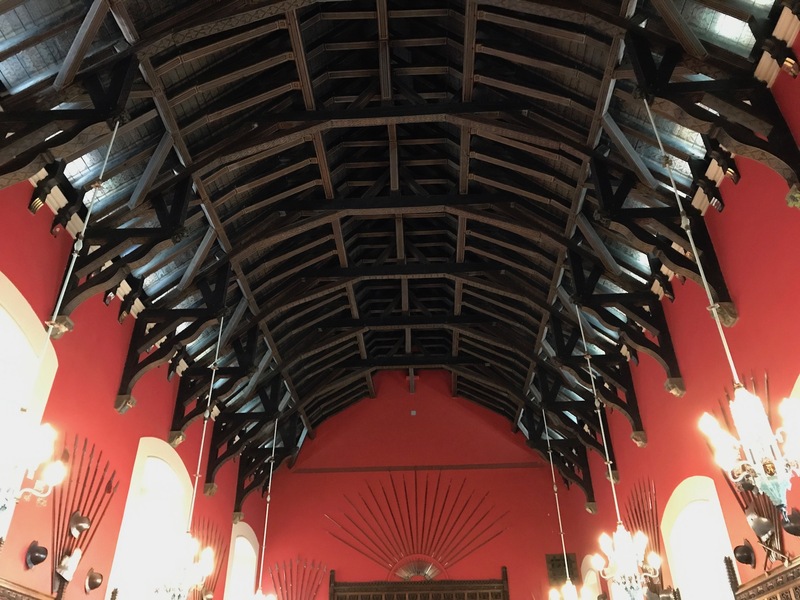 The Hall was built as the primary gathering place on the Castle grounds sometime in the 16th century (its architecture has been compared to similar structures in France built at that time, suggesting that Scotland was more advanced than people might realize). Oliver Cromwell captured it in the 1650s and converted it into barracks for his soldiers – walling off and covering up the stunning vaulted ceiling in the process, and thus accidentally preserving it for later restorers. When architects came in during the late 19th/early 20th century to restore the structure, they uncovered its lofty and impressive roof (the only part of the original building which exists today). Thanks, Cromwell! 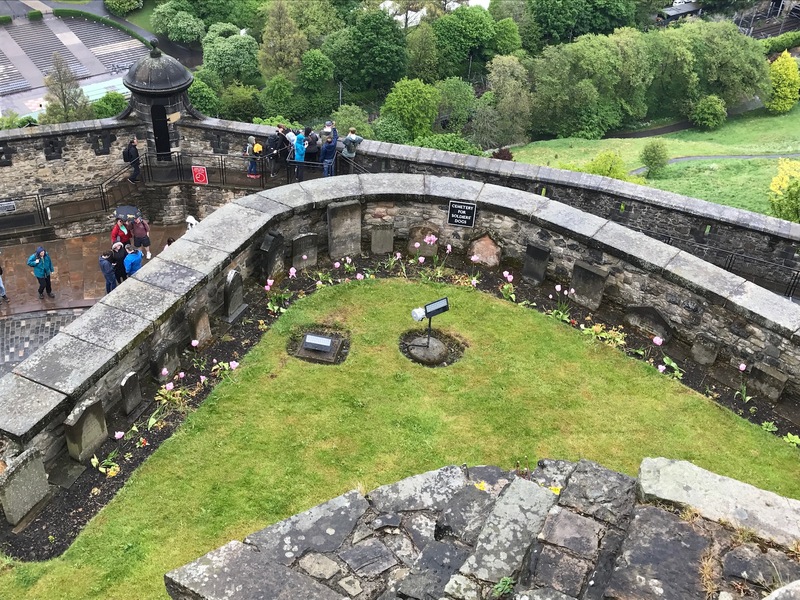 The Scottish National War Memorial and National War Museum also sit atop Castle rock within the keep. The War Memorial (the front of which is pictured in the cover image) commemorates all Scottish men and women who have fallen in war – and each of their names are recorded in overwhelming numbers of large ledgers, copies of which are displayed throughout the memorial. No photos were allowed inside, but the building itself was elaborately decorated, draped in velvet and dripping in encrusted gold sculptures and deeply carved marble plaques. Over 100,000 names filled the books from the Great War alone, with many more being added during the 2nd World War and other conflicts up to the present day. Within the War Museum, all elements of a soldier’s life were on display from various uniforms, equipment and weapons to medals, toiletries, and even a stuffed dog who was the companion of a Scottish regiment. The Scots certainly are proud of their military history! 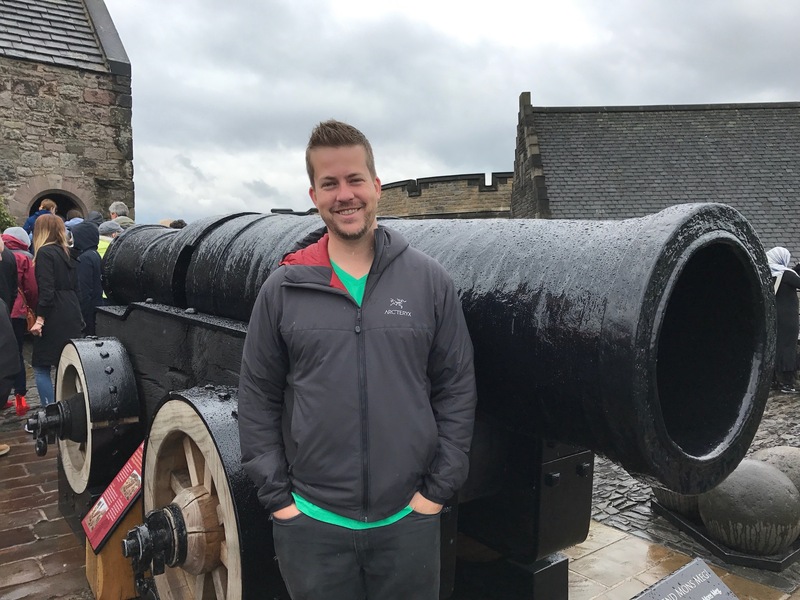 One of my other favorite experiences while atop the Castle Rock involves a large gun and a funny story about time. Scotland can be rather foggy, as you can imagine, and ships coming into the harbor needed a way to tell time and know where they were. Originally, a large tower sat atop a small hill with a ball connected to a pulley system positioned so that, when it dropped, sailors might know the time. However, on a nasty and misty day, the men couldn’t see the ball when it fell, rendering the contraption useless. So, the Scottish military established the tradition of firing off a large gun every day at 1pm to orient the sailors. Why 1pm, you might ask, and not noon? Simple: ammunition is expensive. If they had to fire off 12 shots, the bill would quickly add up. One shot was much more cost-effective and close enough for government work. Gotta love practical Scottish thinking. We were fortunate enough to be part of the crowd eagerly awaiting the gun blast at 1pm that day – and despite the universal countdown in our heads, everyone jumped and gasped when the blast came. 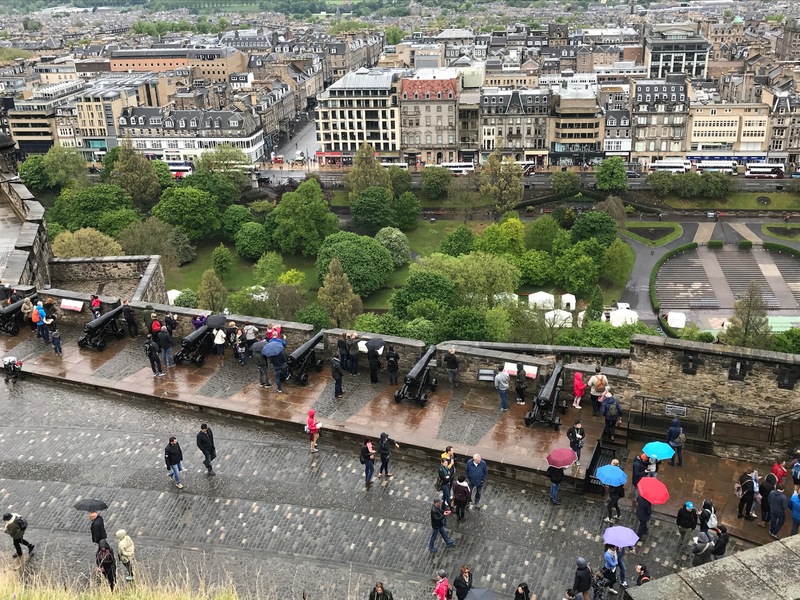 Despite on and off rain showers during our visit, the castle and its history drew us in and fascinated us. From wandering through old prison cells (used until the 20th century!) to admiring the massive, 15th century cannon Mons Meg to “aww-ing” when we discovered the dog cemetery (they loved their animals!) and tasting Scottish whisky at the whisky shop, our trip up to the fortress was well worth it.